How does one even start to troubleshoot when the following happens. ^^ Important note, the job here is to add pictures to an existing pdf produced elsewhere. 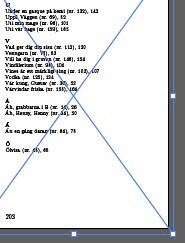 and when exporting to pdf the text visiably disapears but can still be copied from the page. 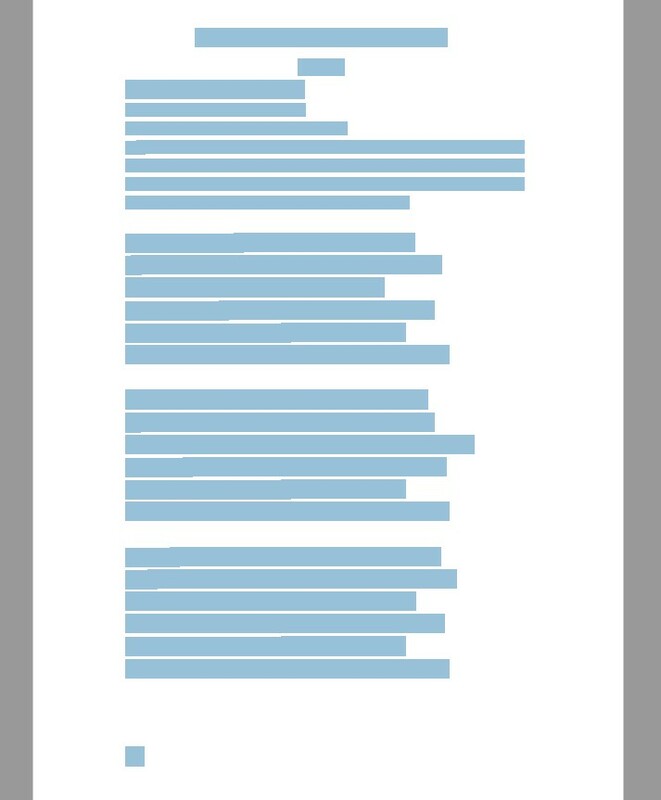 If marked in the pdf it looks like this, and obiously if i don't mark the text it's just a white page. Further info, the first five artboards keeps their text as I want it to output, the next 200 pages doesn't at all. It looks like the PDF is imported to Illustrator as a placed graphic. From the Object Menu, try the "Flatten Transparency..." option on just that page. This will break the placed PDF page into its various objects. This often works better than simply opening the PDF directly. You can try it with or without the "convert text to outlines" option, but I would strongly recommend keeping the text live if you have the font. Once the page is flattened, you can try exporting to a new PDF to see if that fixes your issue. Otherwise, you can start to troubleshoot the page by deleting one object at a time until it works to help identify the element/s causing the issue. Good luck. Not the answer you're looking for? Browse other questions tagged adobe-illustrator typography pdf export or ask your own question. How to reduce a PDF with 80 TIFFs file size? Any method to modify 'Page Information' slug in InDesign Output to PDF?